Are you retrieving all your available Gallstone? For many years, the recovery of gallstone and bile was considered uneconomical. However, in today's business environment, all by-products must be assessed for their potential. Gallstone, in particular, can be a most rewarding by-product, if an effective retrieval program is introduced. Sunshine Trading Company specialises in installing and monitoring retrieval programs From the largest abattoir to the smallest pet fooder, we can show you procedures guaranteed to increase your productivity. Gallstones can form in a variety of shapes and sizes. They may be round, egg shaped, square or pyramid shaped or as tube from the bile ducts. The value of individual stones is determined by dryness, colour, texture, size and whole and broken pieces. Whole, smooth, lustrous, golden specimens attract the highest price. Dark and pitted stones as well as stones with calcium inclusions(white) are of reduced value. However, regardless of condition, we will purchas all ox gallstones including liver tube and wet stone. Contrary to popular belief, gallstones are not an aphrodisiac. They are used extensively in oriental medicine, particularly in the treatment of hepatitis and other liver and gallbladder related ailments. Collection methods have varied with different operations and slaughter floor designs. Removal of the paunch and liver together reduces the incidence of torn gallbladders and spilt bile. It is recommended that gallbladders be removed from the liver as soon as possible after evisceration. Many collection traps incorporate a funnel and screen or sieve. Bile spillage is common. In some cases, stone may deteriorate with released bile constantly washing over the collected stone. Our gall retrieval system has been designed to increase yields of both bile and gallstone with the emphasis on efficiency and safety. 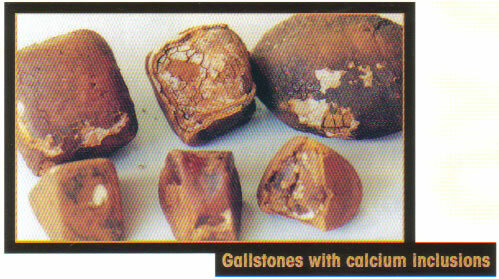 Retrievable "gallstone" product is not limited to collections from the gallbladder. Stones can also develop in the main bile ducts of the liver. A considerable amount of tube or "pipe" from these bile ducts is retrieved by many successful operators in their collection. 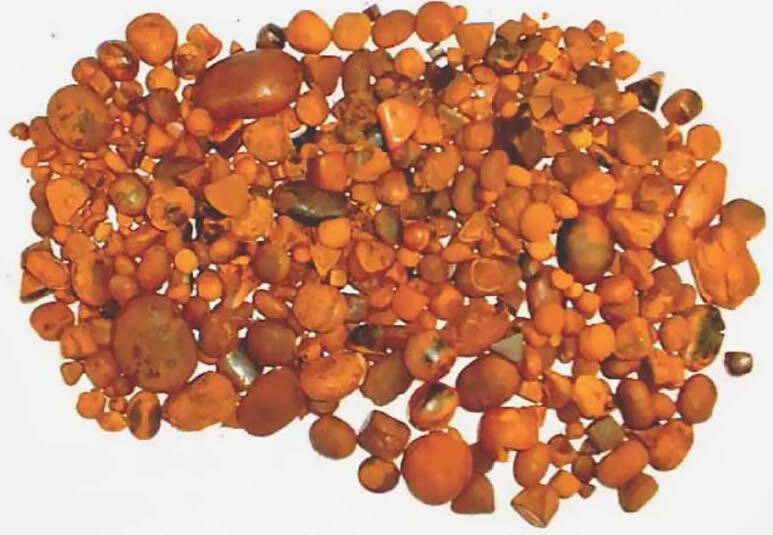 Correct procedures in drying and handling gallstones will ensure best prices are received. Stone must be dried in the dark, as the active ingredient (bilirubin) is photo sensitive and degenerates in light. The drying time will vary depending upon the size and texture of each stone and the atmosphere in which it is stored for drying. Procedures can be adopted to reduce the amount of broken stone and mould formation. Instruction and training in "best practice" drying procedures form part of our gall retrieval system. Our office will be pleased to assist with further information on drying and any problems you may be experiencing. Stones must be thoroughly dried before shipping. 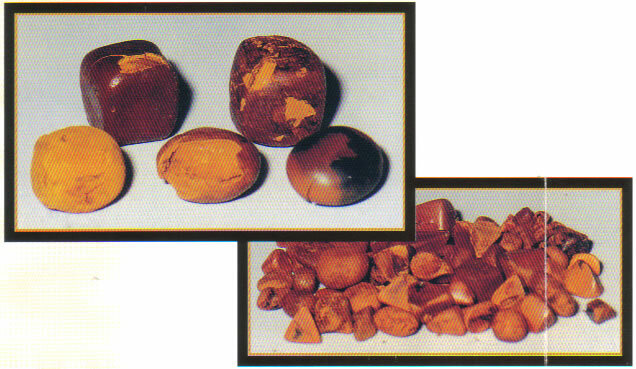 Properly dried stones are brittle. Every precaution should be taken in the handling and packing to prevent breakage. Whole dried stones should be individually wrapped in clean facial tissues then again in paper hand towelling. Parcels of stone should be packed in a tin, such as milo, coffee or biscuit tin, with sufficient packing to hold the stones firm and prevent movement in transit. Ensure your company name and address or an invoice is enclosed. As soon as your parcel is received and the product examined, payment will be made without delay. We accept all quantities with no minimum required. We are always buying at the best prices. Sell direct when we are next in your area. We make regular collections Australia-wide. See your stones weighed and graded and learn more about their collection, drying and care.